1. Which end of the runway do you land on? That depends on the wind of course. Unless you can get confirmation before you arrive (either via a weather service or an authorised person), you need to overfly the runway and look at the windsock. The overfly is conducted at at least 500ft above the circuit. At 600m up, it can be a challenge to see the windsock. The one big lesson we learnt the other day, is that even when there is already other aircraft in the circuit at the airfield, don’t assume they got it right. We arrived and joined the circuit with another aircraft at Narrogin. We setup for landing and found that we couldn’t lose the height quickly enough and that we were closing in really quickly. As we got low and I decided to go around and noticed that the windsock showed we had a tail wind. So we had to change the direction and it was all good. 2. 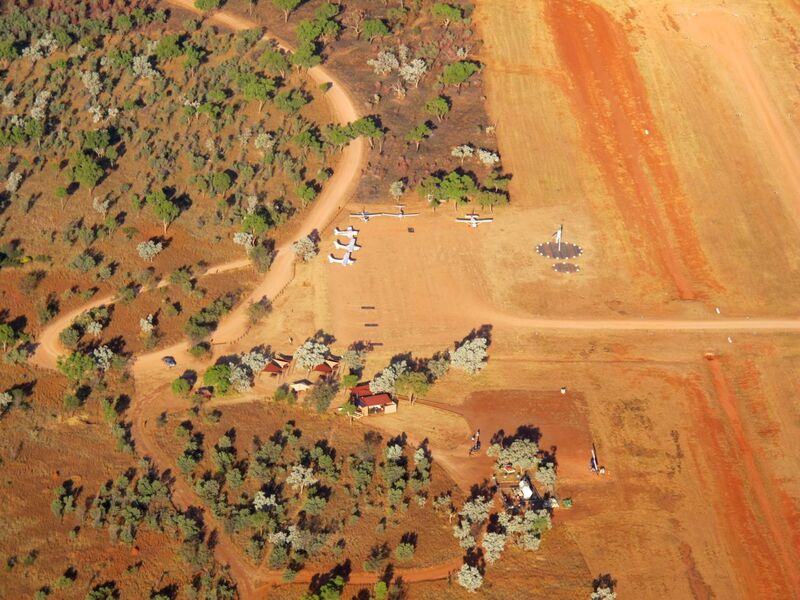 How do you join the circuit from the overfly altitude? This is easy, we decent on the dead side of the runway. The dead side of the circuit is the side of the runway which the circuit is not using. Basically we overfly the runway, decent on the side opposite the circuit and then join. The following diagram extracted from the CASA document referenced below shows what is described here. Of course, we may overfly and find that the direction we are heading puts us on the live side. In this case we simply turn back and then decent on the other side. This can include turning back in the opposite direction from which we arrived. Basically there are many options you can take to join the circuit. However to do the join, you must be at circuit height before you join. There are many aerodromes where the runway in use can be established before arrival and overflying isn’t required. In these cases you can arrive and join the circuit directly without doing the overfly. The preferred method is to join at 45 degrees to the downwind leg. However you may often approach the airfield from the opposite site so doing so is not possible. 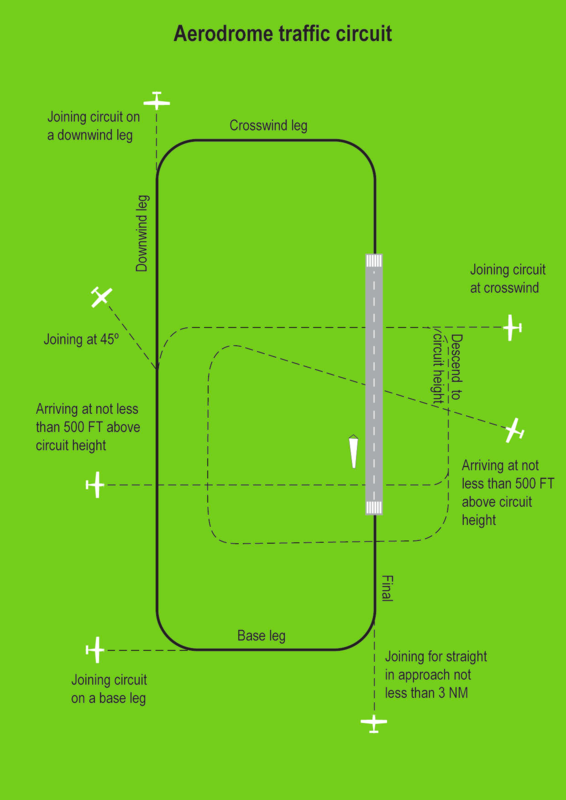 The rules don’t stop you joining the circuit from crosswind, downwind, base or final. However base and final are least preferred. The diagram to the right here (also take from the CASA document) shows the circuit entry approaches. Basically it comes down to safety, so straight in final approaches are the least safest approach when other aircraft are already in the circuit. 4. Who gives way to who? Any aircraft in the circuit have right of way. However, there are times when it pays to be a little more open minded and bullish. For example, giving way to commercial aircraft, particularly those of the larger and faster variety. Excuse me Mr 747, bugger off, I was here first. He may reply with a big fat dose of wake turbulence. Most commercial aircraft will be flying by Instrument Flight Rules (IFR). So it pays to consider these and be courteous. You don’t have to thought. 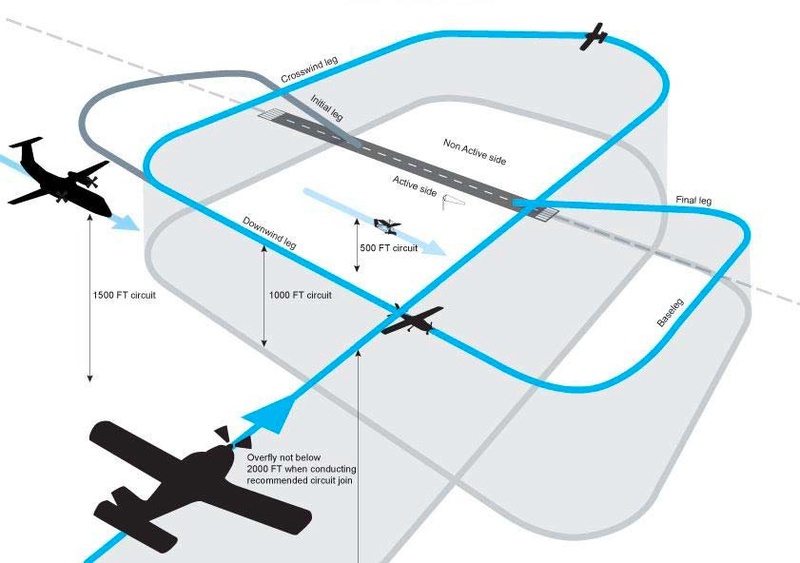 The circuit is designed for aircraft to behave in a predicable and safe manner. That includes knowing where to look. 5. So how do you all communicate? This is the other huge dimension of non-controlled aerodromes. When do you do radio calls and what do they entail. It all starts when you are at least 10 nautical miles from the airfield. You radio in your intentions to let other aircraft know your coming. They may inform you of their intentions or ask you directly. Once you arrive at the airfield, you are also required to communicate your intention on how your going to join the circuit. Then at certain points in the circuit. “Narrogin Traffic, Cessna 172 India Golf Yankee is joining mid cross wind for runway 28 Narrogin”. Basically you communicate your location and intentions right before conducting turns. The reason why this is the time of making the calls is because as the aircraft turns, it is easiest for other pilots to see you. A greater cross section of the aircraft becomes visible as the wings tilt on an angle. So this is a basic regurgitation of what I’ve now come to grips with. It also seems a lot easier now that I’ve taken some time to understand the requirements, when, where and what to say. What is next will be to go and put it into practice. Rather than waiting for the next Navigation flight, I think this weekend will need to involve a flight down to Murray Field to give it a go. This entry was posted in Circuits, Navigation, Pilot License and tagged aerodrome, airfield, airport, C172, Cessna 172, circuit join procedures, non-controlled, non-towered, Plane. Bookmark the permalink.